SCOTCH MISS: Does Affordable, Spa Quality Skincare Really Exist...? Does Affordable, Spa Quality Skincare Really Exist...? My skin changes quite regularly, most of the time I would describe my skin as oily, however recently I would say it's definitely more combination. When my skin is oily I use the Neutrogena Visibly Clear range, I find it controls any excess oil and moisturises without breaking my skin out (or breaking the bank for that matter!) My absolutely favourite product from this range is the Visibly Clear Oil Free Moisturiser, it's incredibly light weight, however still manages to moisturise and smooth the skin. TIP: this is a great base for most foundations - apply before your foundation for a smooth, flawless finish. Since my skin has changed from oily to combination, I've really struggled to find skincare that does what I need it to do. I find my t-zone and chin areas are where I'm most oily; my jawline and the apples of my cheeks (strangely!) are really dry. It wasn't until I was applying my foundation one day, and no matter how many times I went over certain areas of my face, my foundation would not take. My skin was lumpy and my foundation just looked awful. Enough was enough, something had to be done. Whilst out grocery shopping at our local Asda, I just so happened to find myself in the cosmetics/skincare section (purely accidental, of course...) and I noticed they were promoting a new range of skincare: nspa. Obviously I had to have a look, I mean, it would have been rude not to, wouldn’t it? Like a moth to a flame, the first thing that attracted my attention was the packaging, every box or tub is presented in simple, clean packaging. No bright, harsh colours or gimmicky slogans - just subtle colours which are neutral in tone and look as though they belong in a spa – clever touch, nspa! 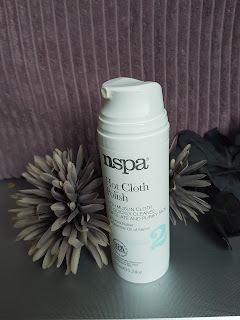 The second thing that attracted me to this brand was the scent; if your skin is anything like mine it behaves like a 2 year old and throws the mother of all fits if it even comes close to products that are strongly scented! So, as I'm sure most of you will understand, I picked a few items, opened them, put them up to my nose and took a great big, strong whiff (nb - to the person who gave me the slightly alarmed, sideways glance as I did this - I'm truly sorry!) the scent is like nothing I've ever experienced - the only way I can describe it is to say it smells like a spa; clean, crisp and so so fresh with a hint of something truly relaxing. Bliss. To draw out impurities, remove make up and clarify skin. To buff away dull skin cells, refine pores and tone skin. To restore and nourish thirsty skin. The Deep Cleansing Face Wash is a lightweight foam cleanser containing natural Vitamin E and Essential Oil of Neroli. 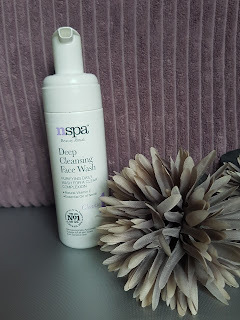 Once I remove the worst of my make up with micellar water, I apply a few pumps of this to clean, dry hands and massage all over my face before rinsing it off with warm water. As the name suggests, this is a deep yet gentle cleanser, great for removing the grime of the day from your face. My skin feels clean and soft when finished. After the Cleansing Face Wash, I use the Hot Cloth Polish which is a buttery, soft exfoliator. Again, I apply a few pumps to my hands and massage into my skin, the formula of this product is amazing, it's extremely buttery and creamy and it just melts into the skin. This product comes with a muslin cloth, which I hadn't used until trying this product. The mixture of the product and the cloth gives your skin a gentle yet thorough exfoliation. This product is slightly oilier in consistency so it really quenches the dry parts of my skin. I’m usually wary of exfoliating products because I have such sensitive skin they usually tend to be too harsh and break my skin out. This product however is incredible, there are no lumps or grains in it, just smooth creaminess; yet you still end up exfoliated. 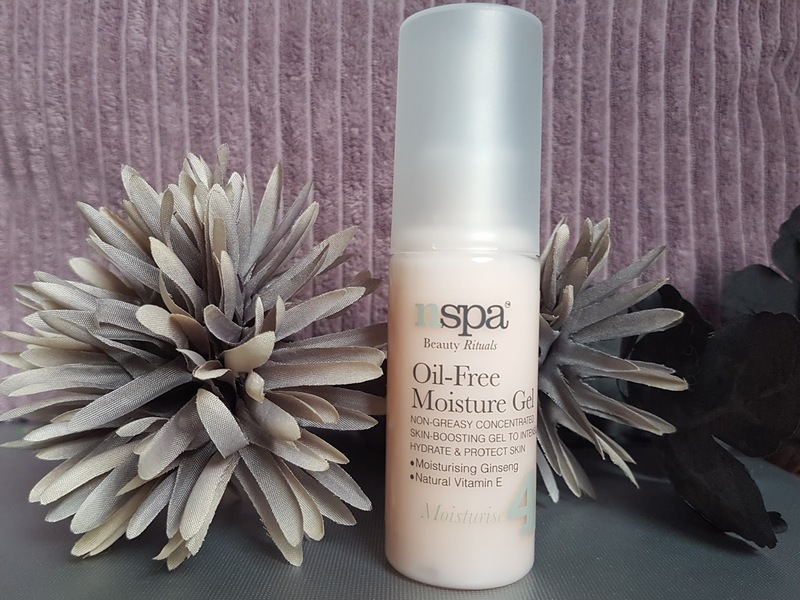 Next step is the Oil Free Moisturiser, this little bottle is like a drop of heaven, its formula is something quite different and it’s neither a cream nor a lotion. It goes on like milk and absorbs into the skin quickly. This product is ideal for combination skin as it controls oil whilst providing intense moisture to the areas that need it most. 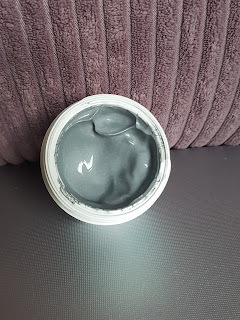 The last product I picked up is the Skin Glow Mud Mask, I use this twice weekly. It's a thick, grey mud mask that draws all imperfections to the surface - I can vouch for this, I have many 'friends' appear on my face after I use it; however that being said, afterwards my skin feels incredible! It’s soft, smooth and healthy. In summary, the nspa products are luxurious in all aspects; packaging, scent, formula and how they work, so the question I can hear you all asking now is "how much of a bank loan do I need to be able to own these babies" the answer is, you don't. I mean, you could but it really isn't necessary. When I bought all 4 products, Asda had them on offer - 2 for £8. Yep, that's right, £16 for 4 amazing skin care products! What a bargain! I'm really impressed with this brand, and I'm so glad I picked a few products up. 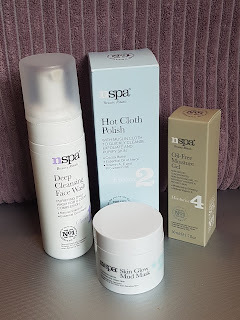 I’ll definitely be trying out more from their range so look out for more reviews of nspa.